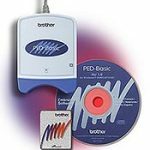 Where Can I Download Brother SE400 Manuals? 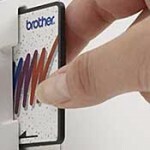 You can download three Brother SE400 Operation and User’s Manuals in PDF format from Brother’s website. Here are the direct links because it can be hard to find the exact place. 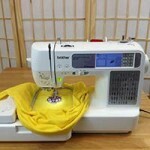 A 172 page manual describing the Brother SE400 and how to use all the various functions: Getting Ready, Sewing Basics, Utility Stitches, and Embroidery. 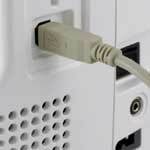 This manual describes how to use the USB port and cable to connect the SE400 to your computer; how to import embroidery designs into the SE400 from the computer; and how to use a computer to upgrade the SE400’s software. Does anyone know the proper bobbin type and bobbin thread weight for this machine? I looked it up and saw to get type L bobbins for pre-wound with 60 weight thread. I recently took my machine in because the tension seems wrong because the bobbin thread is showing thru my design. They said I am using the wrong bobbin and thread weight. I have used easily a 1,000 bobbins and this just started.